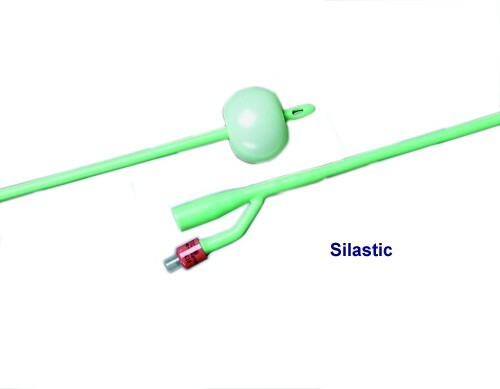 Silastic Catheter, Latex Foley Catheter, BUY Silastic Foley Catheter, 33416, 33418, 33420, 33422, 33424, 33426, 33428, 33614, 33618, 33620, 33622, 33624. Silastic Latex Catheters, manufactured by Bard, are firm Latex Foley Catheters that are flexible enough to allow for easy insertion. The silicone coating acts as a barrier from calcium build-up. Silastic Foley Catheters are have a smooth, non-stick surface that reduces irritation during insertion. These Latex Foley Catheters have an extra large lumen for drainage and feature the option between staggered eyes and opposing eyes. 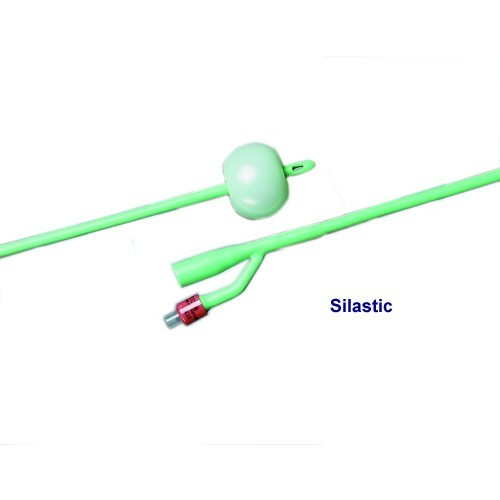 Silastic Catheters have a medium length, rounded tip with a n option of 30 or 5cc balloons. Firm latex base is ideal for insertion. Non-stick exterior prevents irritation during insertion. Silastic Latex Catheter product numbers: 33416, 33418, 33420, 33422, 33424, 33426, 33428, 33614, 33618, 33620, 33622, 33624. Material: Latex with a silicone encased exterior. Can Silastic catheters be used for a patient who has a latex allergy (rash)? This product contains latex, so it's best to not use it for a person with a latex allergy. This information comes from the manufacturer. What is the recommended time to change this product after insertion (long term). We cannot make any recommendations as to how often this should be changed out. It's best to refer to a medical professional on this matter.